Drawing from mythology, medicine, biology and energetic healing, this book introduces the body from Western and Eastern perspectives, and invites creative responsiveness to the messages of our human organs. Body Eloquence is a thrilling read, guiding us into the cornucopia of poetic relationships that reside in the human body. Its thesis is that every organ contributes to your life story and embodies a purpose and has an influence that goes far beyond its biological function. Every organ is as vitally connected with psyche and spirit as it is with blood and oxygen. Every organ embodies a specific theme, holding its own important piece of the cosmos' great mysteries. This is a book that teaches you about the great story teller that dwells within each of us, addressing at once the grand themes of heaven and earth and the perpetual conflicts among our organs, the product of our day-to-day adjustments to the planet. It is a book that teaches you to be attuned to the spectacular dramas within, finding the stories that complete what is unfinished, that right what has been wronged, and that move us further along, and with greater consciousness, on this journey we call life. Teacher, artist, storyteller and psychotherapist, Nancy has specialized in healing through the arts for 30 years, teaching widely in the US and abroad. 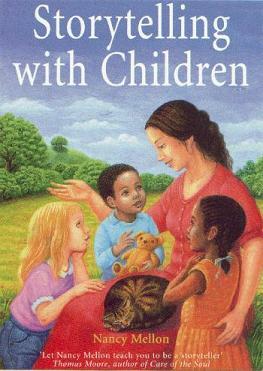 Author of Storytelling with Children, and Storytelling and the Art of Imagination, her newest book, Body Eloquence, won the 2008 US Books Best Books Award in the field of Alternative Medicine. She has followed the path of storytelling deep into the physiological processes of the human body, and continues to pioneer new consciousness of the relationship between language, imagination and well-being. The fact that someone has assembled this information in this way is in itself an encouragement to wake up and reach for much greater personal expression and integration. I am deeply inspired by this book to find my own voice and and to invite my whole self to greater well being. This book is kind even to a grouchy or seriously awry organ. In the same way we can experience ever more compassion for others, it shows us we can feel ever more compassion for our bodies as the willing servants of our conscious evolution. As an experiential learner and an avid journaler, it is engaging and empowering on all levels to find a book that invites me to experience my physiological organs directly. I usually have a cold, dry feeling when I consult medical texts. This books warms me and causes me to take an enjoyably creative attitude toward my own healing process. Body Eloquence: The Power of Myth and Story to Awaken the Body's Energies, published by Energy Psychology Press, is now distributed by Hay House, and is available from your local bookstore, or order a copy from Amazon or Barnes & Noble. 1990 Republished by Yellow Moon Press. The ancient art of storytelling shines as a powerful antidote to today's passive, solitary world of electronic entertainment. As a true path of self-development, storytelling awakens and nourishes the timeless and archetypal experiences, symbols and forces of our inner lives. This classic in the field of storytelling has offered tools for transformational storytelling since 1990. Teachers, students, community leaders, parents, therapists and other professionals carry this inspirational book with them, dog-eared and worn, in backpacks and purses, to help them meet daily challenges. 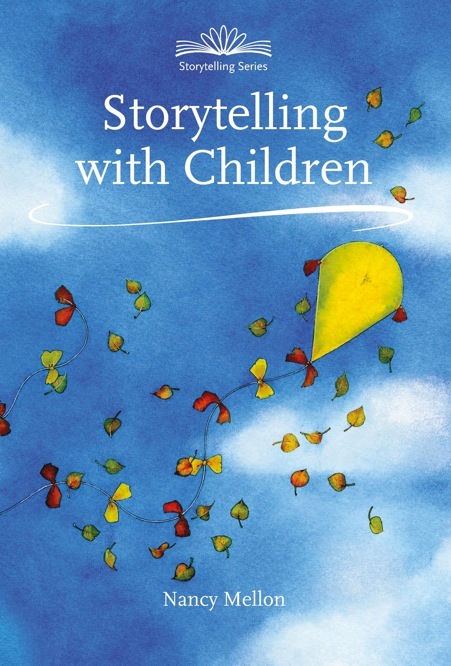 In this book Nancy Mellon shows how you can become a confident storyteller and enrich your family with the power of story. Giving people wood for free. When the children wake up in the morning, they are inspired to plant pine tree seedlings with their parents, and they promise to take good care of all their trees for evermore. A portion of the proceeds from this book supports the planting of trees.